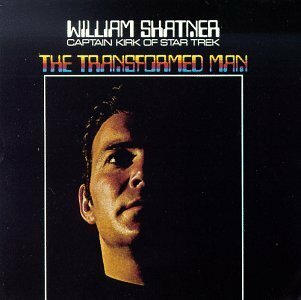 Song of the day: William Shatner – "Lucy In The Sky With Diamonds"
Imagine Mr. Shatner reciting, in his inimitable Shakespearean (Shatnerian?) manner, some nonsense lyrics as if they were the most profound words ever conceived. Now imagine an unusual but pleasant arrangement of a popular song that appears to be recorded by experienced session musicians who are completely unaware of just who will be performing the lead vocals for that song. On the album, each song is preceded by words that I can only term ‘words’ – I can’t really call them ‘poetry’, or even ‘lyrics’, and they’re delivered by the only man on Earth who can deliver them in the way they’re delivered. In order to get you straight to the song, I’ve edited out the spoken-word bit. If you want to get the full effect (you know you do), you definitely need to hear the whole album. It really is one of the most bizarre albums ever recorded. You are currently browsing the archives for the William Shatner category.